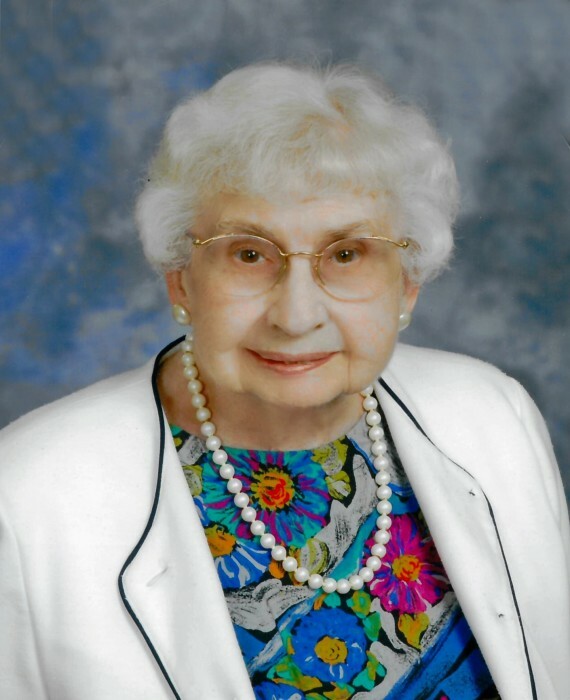 CUYAHOGA FALLS - Phyllis V. (Gibbons) Lantry, 97, passed away January 16, 2019. She was a lifelong Cuyahoga Falls resident. Phyllis served her country in the Army Nurse Corp during WWII going on to work as an RN for Akron City Hospital. She was a member of the Cuyahoga Falls Women’s Club, City Hospital Nurses Alumni and the United Methodist Women’s Club. Preceded in death by her husband of 62 years, Burrell; she is survived by her sister, Mary Alice Crandall; sons, David (Cindy) and Philip (Cheryl); grandchildren, Todd (Celeste), Megan, Kevin, Julia and Neil. Friends may call 1 hour prior to an 11 AM memorial service on Thursday January 31st, 2019 at the First United Methodist Church 245 Portage Trail Cuyahoga Falls, OH 44221. In lieu of other remembrances memorials may be made to First United Methodist Church Organ Restoration Fund. Services entrusted to Clifford-Shoemaker Funeral Home and Crematory, 330-928-2147.